John Legend and Chrissy Teigen did their part to support the protesters who were out demonstrating against the death of Eric Garner, racism and police brutality over the weekend. On Sunday, the celebrity power couple paid for several food trucks to go to Lincoln Square in New York City—where some protesters have been camped for days—and feed the demonstrators for free. Ordering food for protesters—even if it's just a pizza—is a really helpful way to become involved in demonstrations at which you can't physically be present. 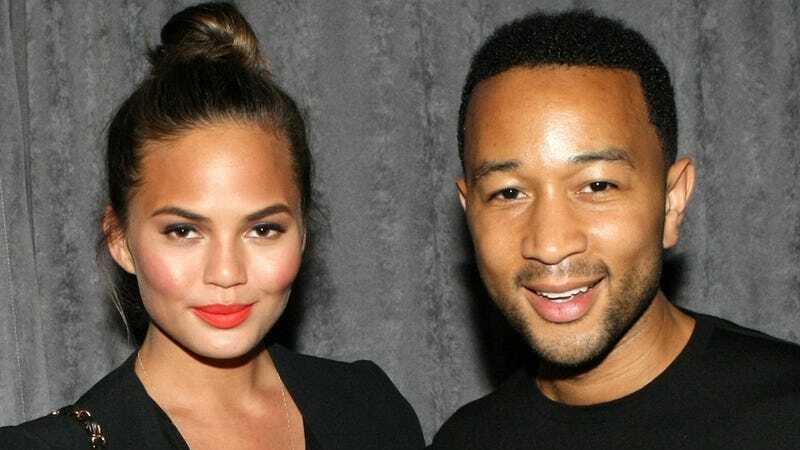 Kudos to Teigen and John Legend for pitching in in a meaningful way. Demi Lovato says she credits Wilmer with helping her fight her eating disorder over the summer. "I almost went back to rehab for my eating disorder last summer. I was obsessing over food and terrified of it at the same time," she tells Fitness. "Wilmer noticed and called me out on it, which was a relief." Best Instagram of all time?